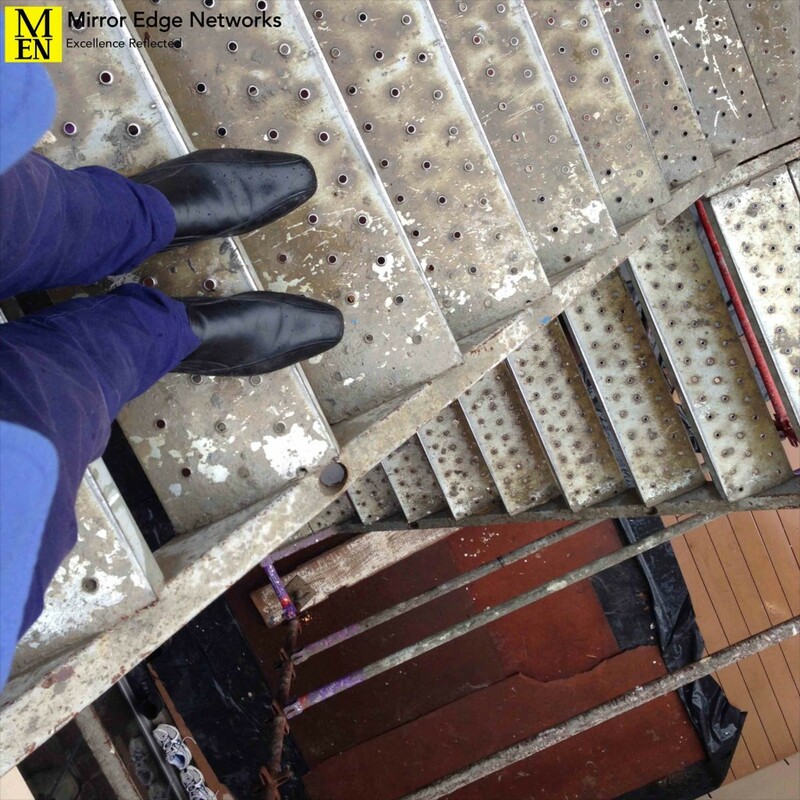 Regular site visits are always important on long term projects. This morning was no different. This is the view as I walked down the scaffolding onto the floor of the house in this project that we are working on. An ad notam mirror television is being installed into the bar area.